Many people are concerned about whether they will be able to withdraw their profits from their BTC-e account if they are living in other parts of the world with no Paypal. Therefore, I have decided to do this video to provide you with an alternative. 1. Register for an account with Virwox. 2. Click on Deposit in your Virwox account to get your Bitcoin Address. 3. Log in to your BTC-e account. Click on Finances. 4. Under the BTC section, Click on Withdraw. 5. Copy and paste your Bitcoin Address from your Virwox account into the Address field. 6. Type in the amount of bitcoins that you want to withdraw. (Note: The minimum bitcoin withdrawal is 0.1 BTC). I would encourage you to withdraw more than 0.1 BTC since you will need to have a minimum of 0.1 BTC to covert your bitcoins into SLL, followed by USD. 7. Click on the Withdrawal button. The bitcoins will be deposited into your Virwox account within 1 to 2 hours. You will receive a confirmation email from Virwox.com when the transaction has been completed. 8. Log in to your Virwox account to verify the bitcoin’s existence. 9. Click on BTC/SLL under the Exchange section of your Virwox account to convert the Bitcoins (BTC) to Second Life Linden Dollars (SLL). 10. 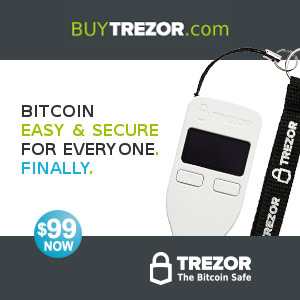 Sell the amount of BTC that you have by clicking on the Next button. 11. Then Click on Place Order!. 12. Click on USD/SLL under the Exchange section of your Virwox account to convert the Second Life Linden Dollars (SLL) to US Dollars (USD). 13. Click on Next to execute the transaction. 14. Then Click on Place Order!. 15. Register for a Skrill account. 16. Click on Withdraw under the My Account section in your Virwox account. 17. Type in the amount of money that you want to withdraw under the Withdraw to Skrill section and key in the email address that you register your Skrill account with. Note: The withdrawal will typically take about 1 to 2 days if you are doing it for the first time. Once the withdrawal is completed, you will receive a confirmation email from Virwox.com. 18. Log in to check whether the money is in your Skrill account! Thanks for the video. 🙂 Helpful. OK c’est du foutage de gueule. Les crytos permettent de se passer d’intermédiaires justement. iam having problems with api keys in the btc-e when i generate the api keys i get both keys and i get info and trade and no withdrawl how long will it take befor i can transfer the bitcoins into the bitcoin robot need help ? There is no more withdrawal box now. You just have to check the info and trade boxes. It will typically take 1 to 3 days for you to receive your bitcoins if you are doing it for the first time.